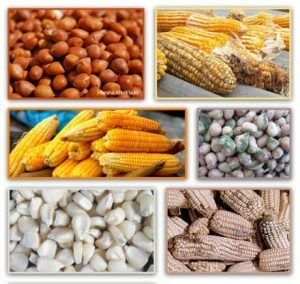 Aflatoxin in food was among the prominent issues discussed at the recent First All-Africa Postharvest Congress and Exhibition held in Nairobi, Kenya, from 28th to 31st March 2017. The Congress attracted about 600 participants from 22 countries including outside Africa. Its theme was Reducing food waste and losses: sustainable solutions for Africa. Two African staples – groundnuts and maize – are particularly aflatoxin-prone. For this reason, two interconnected and well-attended Congress events specifically focussed on aflatoxin: (1) A workstream on Aflatoxin management, food safety and nutrition moderated by Ms Elizabeth Ogutu, Strategy and Operations Senior Officer of the African Union’s Partnership for Aflatoxin Control in Africa ; and, (2) A symposium led by the International Institute of Tropical Agriculture (IITA) and partners entitled Safeguarding Africa’s food: Are we winning or losing the fight against aflatoxin? Since aflatoxin affects both health and wealth, the symposium was jointly moderated by Dr David Githang’a, a paedetrician and cardiologist currently exploring the relationship between aflatoxin and child health, and Mr Gerald Masila, Executive Director of the Eastern Africa Grain Council. The workstream’s objective was to update stakeholders on contemporary aflatoxin research, and gaps. The lead paper was presented by Dr Ranajit Bandyopadhyay, Principal Plant Pathologist at IITA. The collegial, multi-institutional and interactive symposium that followed assembled a cross-section of world-class experts drawn from the diverse pool of organisations working on – or concerned about – aflatoxin. These experts briefed participants on the tragedies and triumphs in the fight against aflatoxin in Africa, based on the latest evidence presenting the problems, practical solutions on the ground, and mapping the way forward. Participants were drawn from research, industry, academia, policy, civil society, funding agencies, general public and the media. Like books, do not judge your food by its cover. Which of these is aflatoxin-contaminated? The mouldy ones? The ‘clean’ ones? It could be either, or neither. Without a chemical test, it is impossible to tell. With aflatoxin, its stealth is its strength, which is what makes it so deadly. According to Barbara Stinson, Project Director at the Partnership for Aflatoxin Control in Africa, “The fuzzy, green fungus alone isn’t a dead giveaway that the toxin is present.” Similarly, the ‘clean’ look does not mean that the food is aflatoxin-free. Aflatoxin in food is measured parts per billion (ppb). The Nigeria and European Union safety level is 4 ppb, 10 in Kenya and 20 in Senegal and USA. Picture that in parts per billion! We cannot see, smell or taste aflatoxin even when its level is lethal. “There is research evidence on the association between aflatoxin exposure and child growth and maternal health,” said Ms Ogutu. “Only three countries in sub-Saharan have less than 20% child-stunting prevalence [Mauritania; Ghana and Gabon]. About six have above 40% [Benin, Ghana, Kenya, The Gambia, Tanzania and Togo].” Lucrative external trade too has suffered. “In the 1960s, Africa’s share of groundnut export was an estimated 77%, but this had fallen to less than 4% in the 2000s,” Ms Ogutu added. Along with raising awareness on aflatoxin is the related question of food safety and enforcement of regulations on aflatoxin levels. Lack of enforcement leads to produce that has been rejected by exporters and industry being sold and consumed in local and alternative markets; “Food safety is a deliberate health outcome,” stressed Ms Martha Byanyima, Lead Expert, Sanitary and Phytosanitary Matters at the Common Market for Eastern and Southern Africa (COMESA). “It is transboundary issue of concern to COMESA since we trade in food. 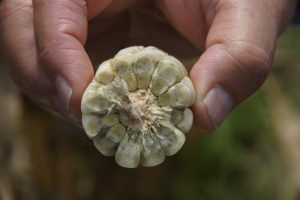 While there is much evidence on aflatoxin contamination, this does not automatically amount to accounting for the risk and exposure which are a different matter altogether. What is lacking are controls in our food systems. Effective controls must be informed by the level of risk. Therefore, risk management must be strongly embedded in food-safety approaches and legislation.” She emphasised that for truly integrative and informed solutions to fight aflatoxin effectively, the roles and priorities for different actors must be clearly defined between research, industry, academia, government, regulators and agricultural extension. Dr Vivian Hoffman, Research Fellow at the International Food Policy Research Institute, observed, “While industrial food processors may avoid buying from aflatoxin-prone regions and screen for aflatoxin at the factory gate, the stark reality is that even the worst maize will eventually find a market.” This emphasises the need for clear and harmonised protocols on sampling to assure accurate testing, and the importance of inter-sectoral and transboundary collaboration on harmonised aflatoxin mitigation, with a clear recognition of, and respect for, the roles and responsibilities of each player. “The preharvest stage is the key entry point for mitigating aflatoxin, because this is when 30 to 80% of the contamination occurs” revealed Dr George Mahuku, Plant Pathologist at IITA. Among the solutions for aflatoxin is Aflasafe, applied preharvest but whose protection also continues postharvest, and is further enhanced by good agricultural practices such as proper drying and storage. Aflasafe is an all-natural IITA product that consistently reduces aflatoxin in maize and groundnuts by up to 90%. It was ranked third of 10 winners of the Congress’ Postharvest Innovations Challenge (see Aflasafe entry text and video). Its development and commercialisation is jointly funded by the Bill & Melinda Gates Foundation and the United States Agency for International Development. The Congress was co-organised by the University of Nairobi and the World Food Preservation Center, with the Rockefeller Foundation as the Strategic Partner and IITA as the Gold sponsor. This story was originally published on www.aflasafe.com.